We've been longtime fans/consumers of Bayou Bullets from Louisiana, but we know that we're exhausting poor Donnie Miculek down there with all the orders we generate. Donnie, being clever, decided to start selling his coating to other bullet producers to take some of the load off his small business. 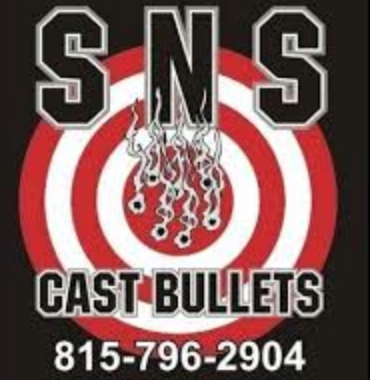 Enter SNS Casting, of Flanagan, IL, where Jim Stinar and son, Ryan, have been producing some excellent high quality hard cast lead bullets for a long time! Now, they're using Donnie's coating to make their own high quality SNS Coated bullets! We got an evaluation pack of 124gr round nose bullets from the Stinar's and results are good: bullets are of uniform diameter, with very minor variations in height. Their coating has golden color and is applied thickly and uniformly, coating the entire bullet. We proceeded to Alpha Range for some chrono and load testing using some cartridges that I loaded up with Titegroup while Kozy used some Solo 1000 he had leftover. The moly coating, as expected, shot faster, averaging 134 PF. (~1080 fps). With Titegroup, there was a bit of noticeable smoke, but nothing that would keep me from loading it for indoor matches. With Solo 1000, the smoke was noticeable less. The round nose profile ran just fine in my Beretta pistol, but when trying to test with Kozy's Unicorn, err, Tanfoglio, the bullet profile was extending past the chamber onto the rifling. I would imagine that this would be an issue for CZ pistols as well. 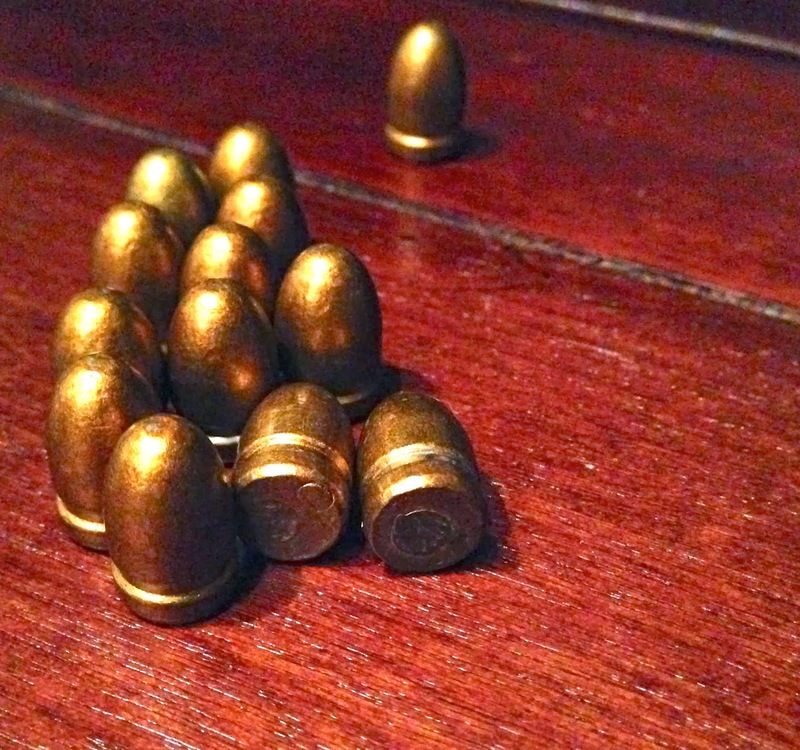 The simple solution might be to use SNS' flat point 125 gr or 147 gr bullet.